This time she decided to use another object of everyday life for her new project that is common socks. And if the artist had painted a portrait of a basketball player, she decided to paint a huge portrait of the famous Chinese director Zhang Yimou. 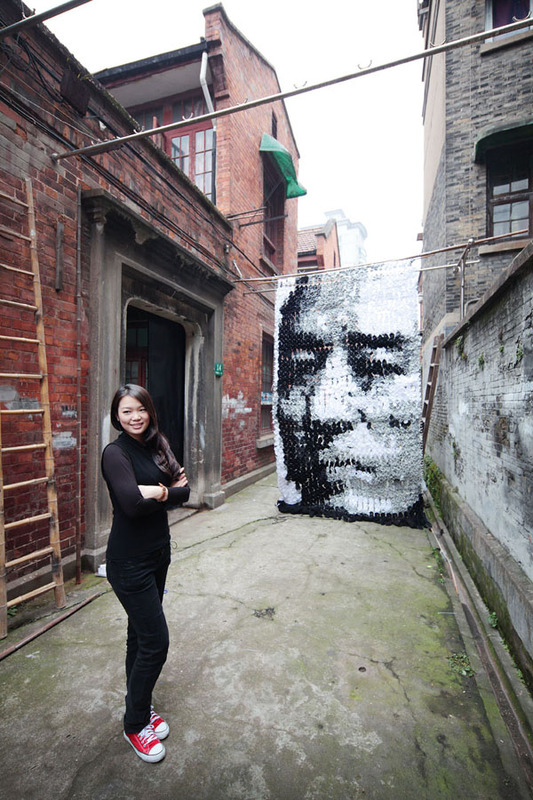 To create the portrait it took 3 weeks and 750 pairs of socks, turned monochrome, because the artist used only black and white tones, as if forming the image of light and shadow. Its madeof some Socks, pins and portrait hung on the support of bamboo bars.